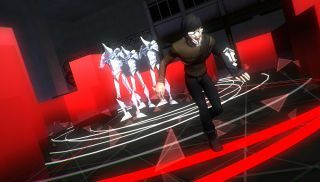 Here's a new trailer for Volume—the cyberpunk stealth sim from Thomas Was Alone creator Mike Bithell. It's a round-up of the enemies you'll be sneaking past, and the special abilities they'll be using to stop you. Hounds, for instance, will howl, drawing other enemies to your attention. What isn't clear at this point is how to stop them doing that. I really hope the answer is VR bones and steaks. Also in the trailer, you can also hear a brief blast of Andy Serkis. He's playing 'Gisborne', the game's main antagonist. Volume is due out sometime this year. For more, check out Chris's preview.